One hundred years ago, there was a different world. European history witnessed some border shifting and ‘organizational’ changes and from these turbulent waters, smack dab in the middle of it all, emerged the then Czechoslovakia, which later became the today’s Czech Republic. This Sunday, 28th October 2018, marks the former Czechoslovakia’s 100th anniversary so you can imagine some of the parties the country is going to throw. Among all the events and festivities designed to celebrate this milestone, there’s one with an impressive outline. Literally. Milan ‘Forrest’ Silný is a long-distance cycling enthusiast. The Czech automaker ŠKODA AUTO started out as a small bicycle workshop over 120 years ago so to link cycling with history for such a special occasion was an appropriate way to celebrate. And thus, the Lví stopa cycling initiative was born. The initial inspiration for Lví Stopa, meaning the ‘Lion’s Footprint’, was the so called GPS or STRAVA art, where you ‘draw’ on the map by recording the route you ran/cycled/walked by using an activity tracking app. These can range in size from a single neighbourhood to a whole city. But when celebrating 100 years, it’s no use to think in doodles, right? The Lví stopa planners, ŠKODA and We Love Cycling, opted for the outline of a two-tailed lion, one of the national symbols of the Czech Republic (also called Czechia nowadays), that spanned nearly the whole width of the country. 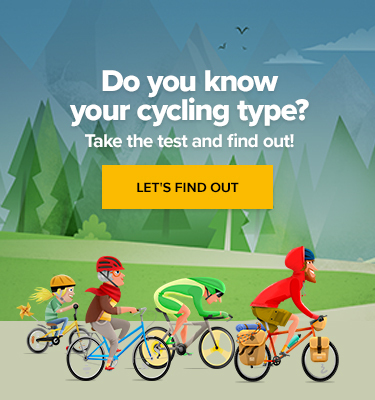 The initiative was supported by most major state-run sports and leisure organisations, such as the Czech Olympic Committee, Czech Union of Sports, Czech Scouting, Czech Cycling Federation or the Czech Tourist Club. And to make things more challenging, the route runs only through cycling-friendly, safe roads and cycle paths. Using the Czech Mapy.cz interface as the main drawing board, a website similar to Google Maps, the final version of the ‘Lion’ boasted 1 932 km and was split into symbolic 100 stages – each to commemorate one year. Every route was carefully catalogued on the Lví stopa website according to its difficulty level, with a detailed description of all the renowned Czech landmarks and breath-taking landscape you could see on the way. Anyone was invited to pick up the bike and join this active celebration and log their ride through an app and riders of all walks of life took up the challenge. In its first two weeks of existence, starting with 26th May, Lví stopa managed to make a world record for the largest GPS-drawn national symbol, amassing more than 150 cyclists, ranging from 2 to 75 years. 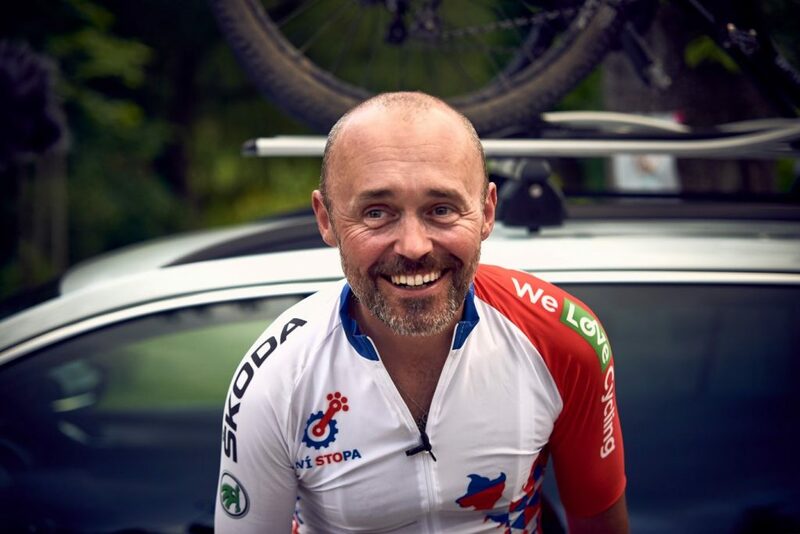 The first to complete the whole nearly 2 000km route was ŠKODA’s appointed lead rider and ambassador Milan ‘Forrest’ Silný, who’s a long-distance cycling enthusiast. 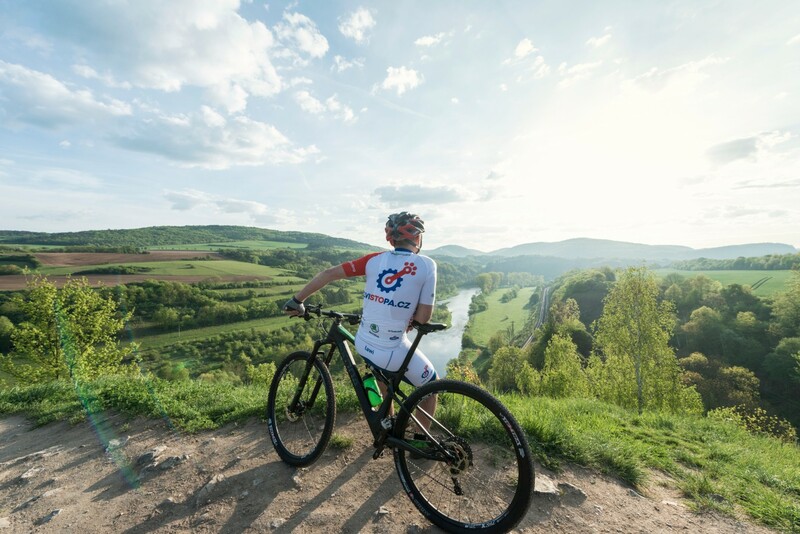 With the motivation to break his 1000km nonstop cycling record, he managed to complete the route in 13 days, accompanied by various Czech celebrities here and there, including the world-famous Paralympic cyclist Jiří Ježek. Besides Forrest, many individuals and groups managed to reach some impressive goals before the anniversary’s date. Let’s check some more. A group of four cyclists led by David Stella, calling themselves Loudalové (loosely translated as ‘The Dawdlers), split the route into a four-stage relay race, with the goal to finish it in under 100 hours. Without a single interruption, they managed to pass the ‘baton’ around the whole Lion in impressive 97,5 hours. Jiří Ježek tagging along for a ride with our Forrest. Out of the individual records stands out the one of Jiří Kadlec, a Czech satellite image programmer who tries to compensate the hours spent in the office by various activities, including cycling. After learning about Lví stopa from a former classmate, he took a four-week vacation and completed all stages, while also stopping along the route to visit friends living in various parts of the country. Overall, Facebook and Instagram became a bit flooded with pictures and mentions in the initial weeks of Lví stopa and there’s no doubt the Czech Republic got a wonderful gift before blowing the metaphorical candles on its three-digit cake. It would be great to see more events like this in the future! What Is Better: 10,000 Steps or an Hour of Cycling?